Infor, a leading provider of industry-specific cloud applications, said it has secured a major digital contract from Dubai-based building materials and homeware retailer Danube to support its regional expansion plans. The Emirati company sells furniture products, garden furniture, decorative ranges, furnishings, homewares, chandeliers, electrical goods & accessories, ceramics and entire home range via its Danube Home showrooms. In an effort to enhance its supply chain, Danube Home chose Infor SCE to increase efficiency, throughput, and service levels of its operations– reducing costs and providing greater visibility for both clients and staff,. said a statement from the company. Danube Home has invested in Infor SCE - a leading WMS (warehouse management system) - and its Infor OS (operating services platform) to accelerate its digital transformation as the company expands across the region. Infor said its implementation partner involved in the implementation is Vinculum, the warehouse management and logistics experts. "Ultimately, increased customer satisfaction is what we are looking to achieve. 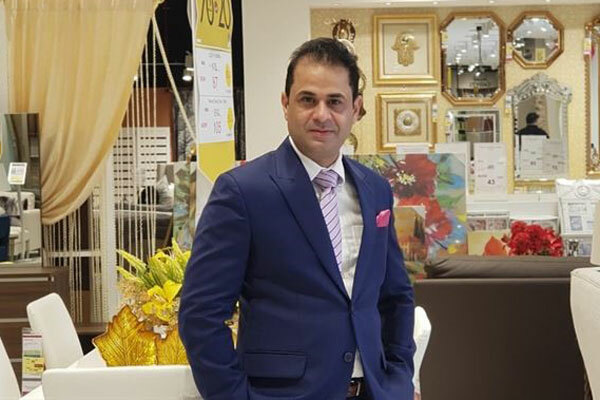 From a management perspective, we have also invested in a dedicated resource to oversee fulfillment in our Danube Home showrooms," remarked Sachin Khosla, the head of Logistics at Danube Home. "With a strong track record and reputation in the Middle East and around the globe, Infor was the right fit for us. Its warehouse management system required no customization and could easily be configured to our needs," he stated. “The year ahead will be a busy one for Danube Home, with plans to increase our presence across India and the Arabian Gulf over the next 12 months, so it was especially important to select the most capable partner possible,” he added. This is the first deal between the companies and will see Infor support Danube’s plan for rapid regional expansion. Expected to go live in the UAE next month, Infor’s technologies will be rolled out to India, Kuwait, Bahrain and Oman. "This is a fantastic win for Infor – Danube is such a respected brand in the region. We anticipate a productive partnership moving forward as we accompany the group on its digital transformation journey," remarked Alaa Hewedi, VP of sales, Infor, Middle East. Danube, he stated, wanted to pool all essential company data together to integrate strategic planning into an optimized distribution network. "The company will use Infor SCE to analyze information from across its subsidiaries to improve the use of assets across its network – inventory, space, and labor. Plus, with Infor SCE, the company can create, communicate, execute, monitor, and manage strategic business plans," noted Hewedi. As per the deal, Infor will provide its SCE Warehouse Management together with its operating services platform which includes advanced capabilities for business intelligence; document management; and process integration. In addition, Infor OS incorporates Infor’s advanced middleware platform, ION, and Infor Ming, a centralized space for collaboration, business process improvement, and contextual analytics, it added. "Infor’s team managed to engage at a very late stage, and in just 45 calendar days it eliminated the competition, established a great relationship, and aligned Infor SCE and Infor OS with our business needs," remarked Khosla.